Diet in the wild: Invertebrates such as worms, hydroids, and small anemones and crustations. A Platax orbicularis can grow up to a maximum adult size of 22 inches. Ranging in size, the Orbiculate Batfish starts small at about 2 1/2 to 3 1/2 inches, medium 3 1/2 to 5 inches, and large batfish range from 5 to 7 inches. 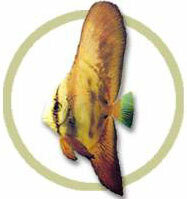 The Platax orbicularis has a round body of a reddish brown color and large rounded fins, which put on quite a display. There are sevral variations among each species, which can cause diversity in the appearances of the Orbiculate. The Platax orbicularis is considered the "ugly duckling"of the genus, due to its plain brown color and shortness in height as a juvenile. Batfish are members of the Ephippidae family. Batfish are often recognized by their elongated fins, which are present in the younger stages. In the growing process the fins become shorter and the body grows longer. As you can see, there is an extreme difference in this picture and the one provided above. Batfish live in several different tropical and subtropical oceans around the world. Juvenile Batfish stay in the inshore waters. 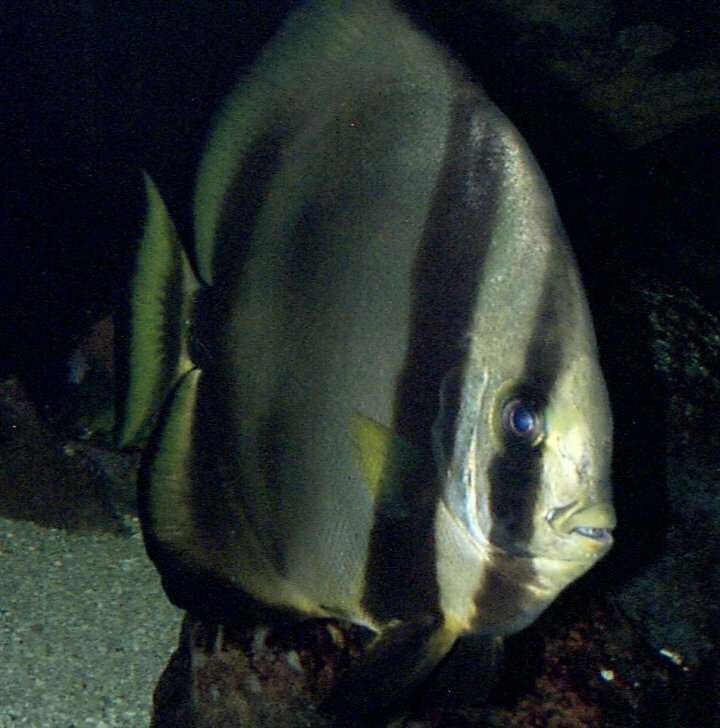 The larger Batfish can be found on or near coral reefs. 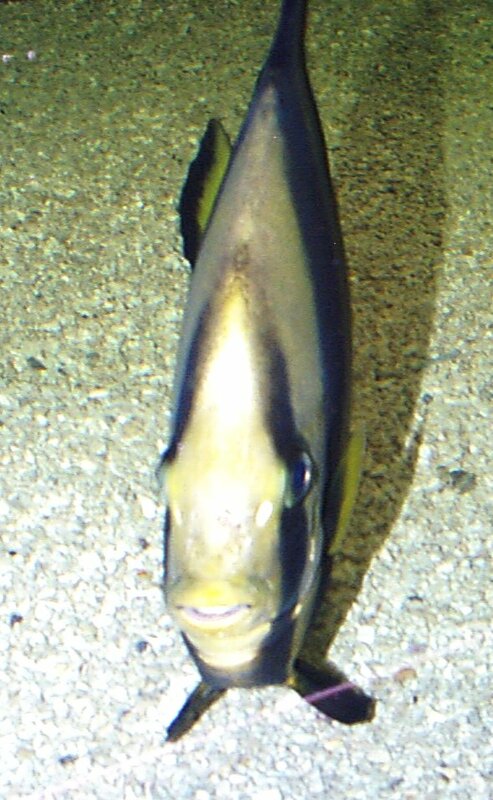 Although age is a determining factor, some batfish can be found traveling in schools or as individuals. The Fort Worth Zoo has closed the aquarium. The Orbiculate Batfish can no longer be viewed there. 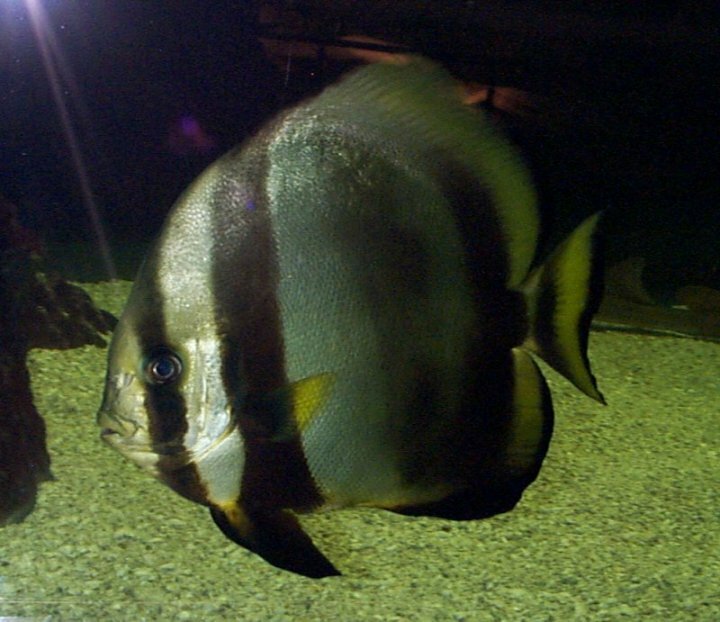 However, here is a picture of a Batfish that once called the Fort Worth Zoo its home. Unfortunately I have not been able to view the Orbiculate Batfish myself, although I have been able to reach someone who has. A diver by the name of Joanne Panizzera has made several dives to many different places, such as her 2000 trip to the Solomon Islands, where she photographed the Orbiculate Batfish ( titled above, Physical Description). Joanne informed me of the Orbiculate's curiousity, which I found to be a very interesting and different trait. A personal thanks to all sources who assisted in the making of this web page, Thank you!